Photo courtesy of Diane Bertolino/Gloucester Daily Times. Rockport: About 15 people participated in a wreathmaking workshop held at the Community House on Wednesday afternoon. 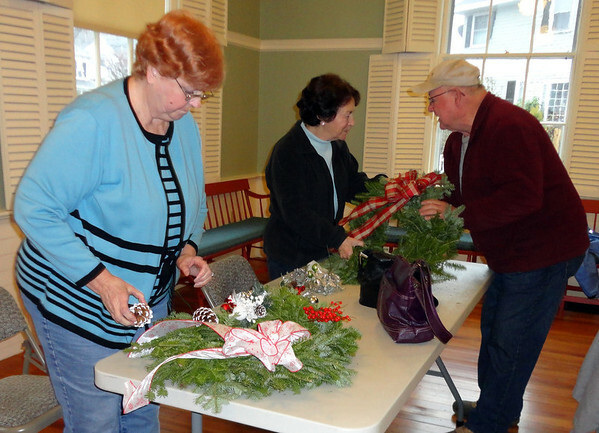 Working on their wreaths are, from left: Peggy Fay, and Karen Jylkka and John Wonson was giving them helpful tips.